The award was presented on the 23rd of December, 2018 at the Carol and Award Night of the Annual Gospel Music Award organized by OD7MUSIC, held at Felicia Hall, JOGOR EVENT Center, Ibadan. 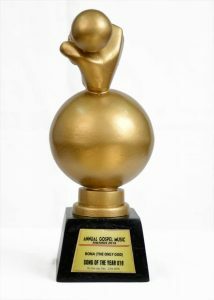 theAGMA18 which is the debut edition of the Annual gospel Music Awards has its award of different category given with nominees scooped from within and outside Oyo state. In her victory speech BONA noted that no one receiveth except He’s given from heaven above, giving glory to God the giver of all true and perfect gifts. “I want to appreciate and celebrate the organisers for acknowledging the good works the Lord has placed in our hands and also celebrate the nominees. 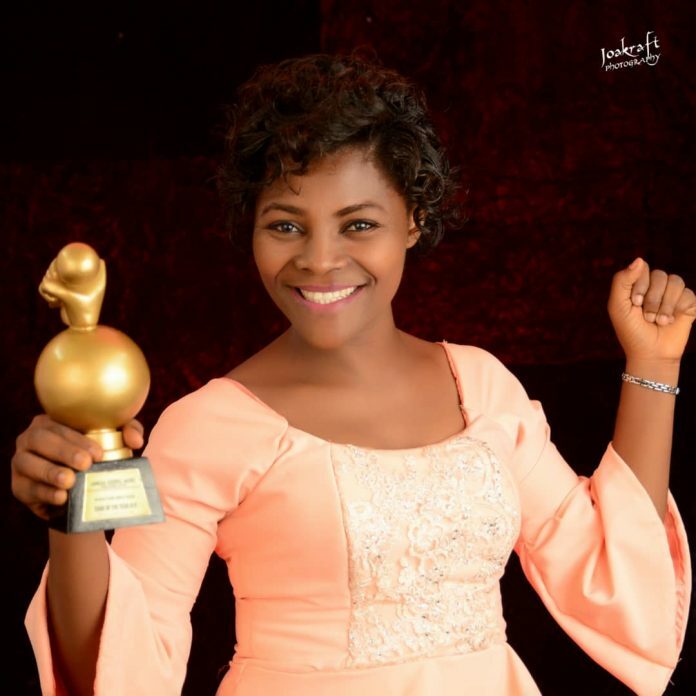 Human awards, God rewards, I want to enjoin us all to keep on the good work by depopulating hell and populating the kingdom of God,” she stated. ￼She therefore dedicated the award to God and all the ministries that are nursing the feelings to pack their unsuccessful nets at the river bank of ministerial adventure, admonishing them not give up, saying every vision is for an appointed time. My name is BONA,am a devoted Christain,gospel singer and song writer,i hail from Abeokuta in Ogun state. I’m a graduate of Business Administration with Honours from University of Lagos.I did my Nysc at Federal Ministry of Environment Abeokuta in Ogun state. I speak Yoruba and English fluently well. I write and Sing majorly in English and Yoruba Language. Have loved music right from my teenager,i joined the junior choir at the age of 7. At age 13 i join the Senoir Choir as the Lead vocalist. I joined different gospel group as a back up artist..”Waves of Praise Crew,”Echoes of Praise Crew and many more. In 2014 with the guidance of the Holy Spirit i start up a career as a recording gospel artist.I was signed into a Record Label AFRICAN KINGDOM RECORDS. I released my 1st single “I hail O ft Mike Abdul of Midnight crew in the year 2014 and the Video was released the same year.The song went Viral and brought me to Lime light. In year 2015,i released my 2nd single title “Baba O ese”. Went for a break due to my Nysc programme. Have ministered within and Outside Nigeria. I’m the winner of Distinct Music Production @10. I currently released my new Single title “The only God” and the song as bin nominated for Agma.